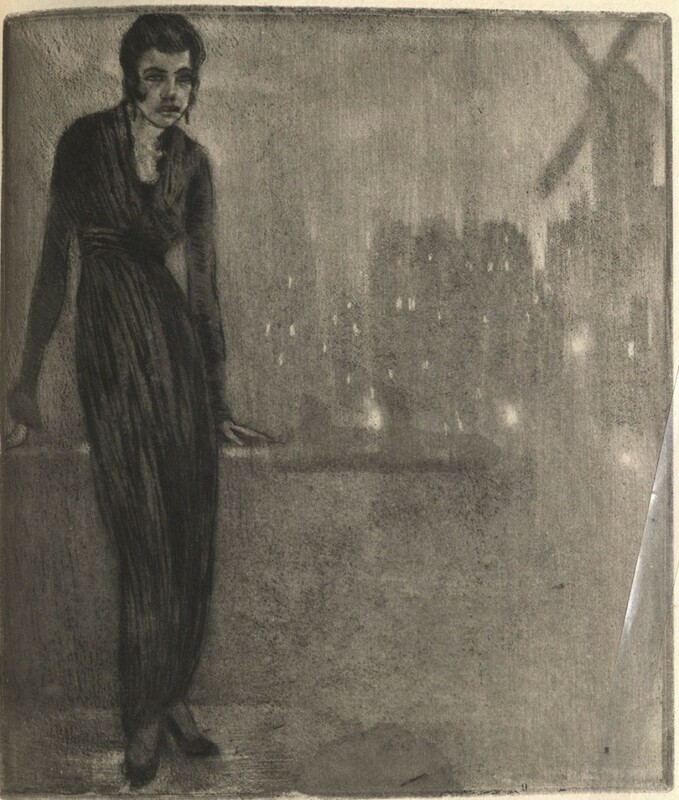 The text is accompanied by fourteen engravings by Édouard Chimot, depicting the young women of Montmartre. 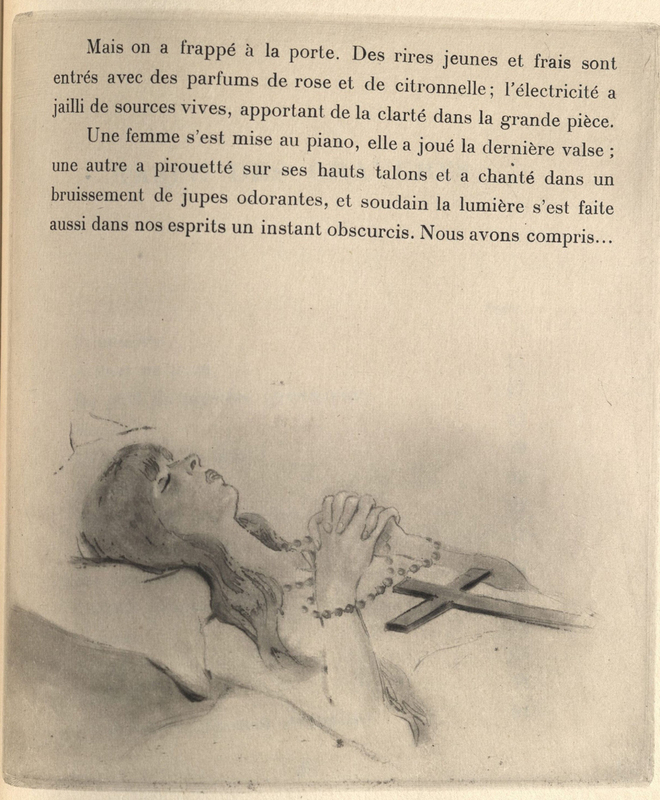 This copy is unusual in that the publisher, L’Édition, has been replaced on the wrappers and title page with “Pour le compte des auteurs” (“on behalf of the authors”); it also features an envelope bound in at the end with additional copies of the engravings in various colors and states, as well as two original pencil sketches. 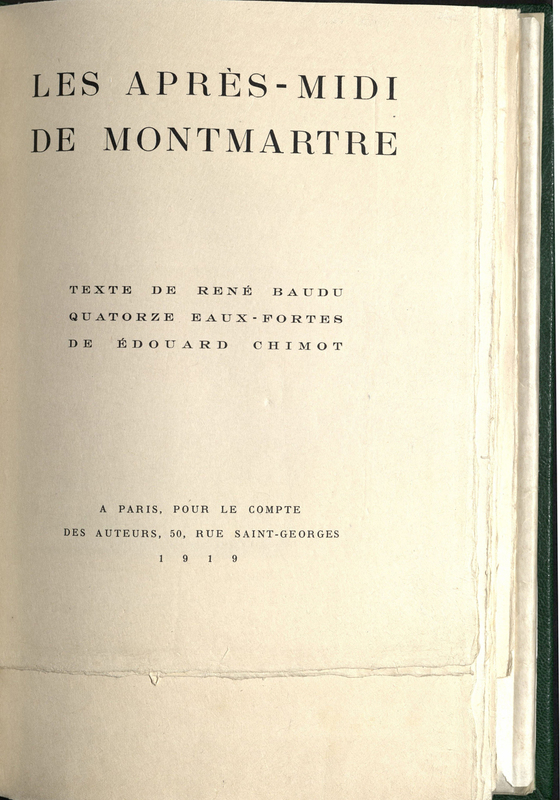 This special treatment is understandable in light of the volume’s provenance: it was specially printed for the author’s mother, Marie Baudu, and inscribed to her by her son. René Baudu. Les après-midi de Montmartre. Paris: Pour le compte des auteurs, 1919. FC9.B3260.919a2.